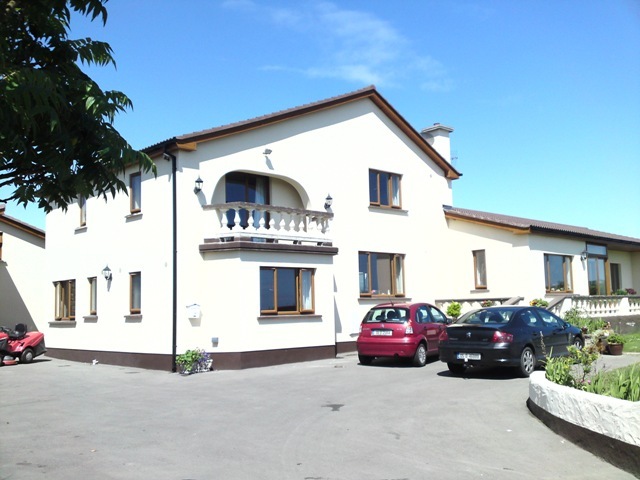 Lolaido House is centrally located for the many attractions that are available in the Fingal Area. Ardgillan as a concert venue! 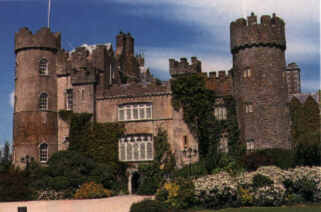 Meatloaf along with Status Quo started the first ever concert in Ardgillan Castle on June 18th 2005. This was followed by REM and Molby on Sun 19th. Both concerts were excellent but Sunday in particular was special with the weather being really beautiful. The concerts were well organised and we hope there will be a future at this venue with its magnificent backdrop of the Irish Sea and the Mourne Mountains. Built for Robert Taylor, Dean of Clonfert, in 1738. Beautifully restored and furnished in Victorian style, the principal and kitchens are open to the public. There is also the beautiful gardens and large park area. A coffee shop and souvenir boutique are provided. This pub is located very close to Lolaido House. The pub has been in existence since 1595 and is renowned in history. Today it offers a fantastic night view of Dublin City and has Irish Music on Monday nights. Lately the restaurant has a new lease of life and the food is excellent. Loughshinney Motor Bike Road Racing. Each year during the first weekend of July this road race event is run just outside Skerries. It has a large following from people all over Ireland and England. The weather is usually fine and dry and the crowds can be very large, 20,000 or more lining the circuit. 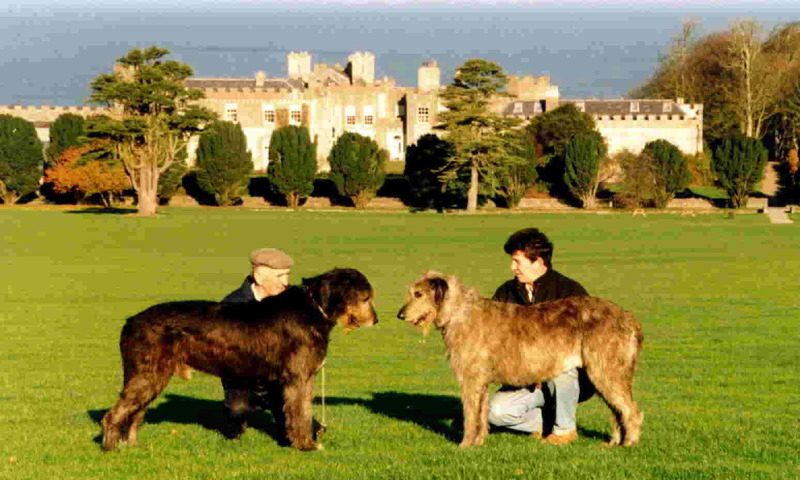 In mid December there is another race meeting in Kilalane. 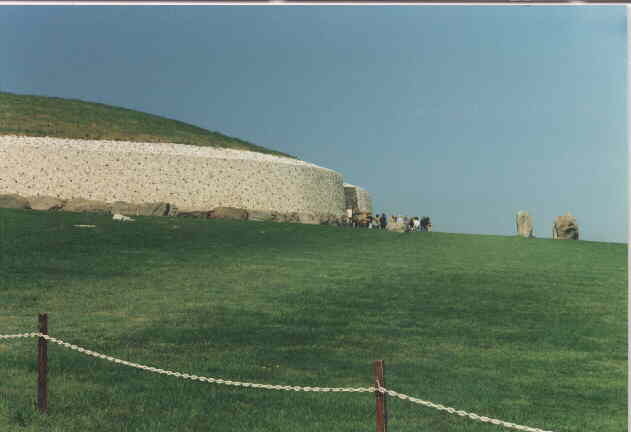 The site of Newgrange (the modern name for the ancient site of Brugh na Boinne, the House of the Boyne) was discover in A.D. 1699. It is one of many passage tombs in Ireland and has been radiocarbon dated to approximately 3200 B.C., and is situated in the Boyne Valley. The tradition of thatched roofs is still visible in Skerries. This one is of a newly restored roof and can be seen beside the Allied Irish Bank. Note the decorative finish on the top of the roof. Similar roofs can be seen in the Fingal area with reeds replacing the traditional straw. Built in the 12th century by the Talbot's, who were in residence until 1975. The oldest part of the present castle is a 14th century tower. The castle contains the national portrait collection of the National Gallery of Ireland. The medieval oak panelled room is unique. A coffee shop and souvenir boutique are provided. Lolaido House is 2 Km to the town of Skerries, 4Km to Loughshinney, 8Km to Rush and 5Km to Lusk, all of which have the attractions of sailing, fishing, walking, beaches, golfing, restaurants, and of course, traditional Irish pubs. 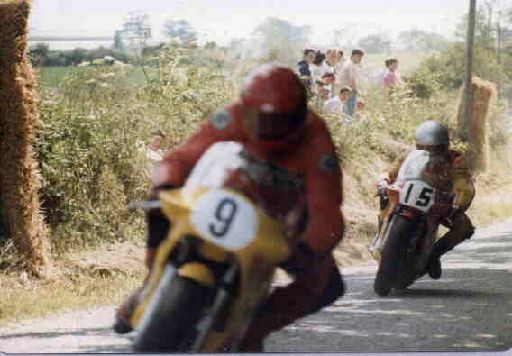 Lolaido House is situated on the Skerries Road Racing circuit and for those in the know, its before the Hairpin.